Youth unemployment and underemployment are critical issues in Uganda. 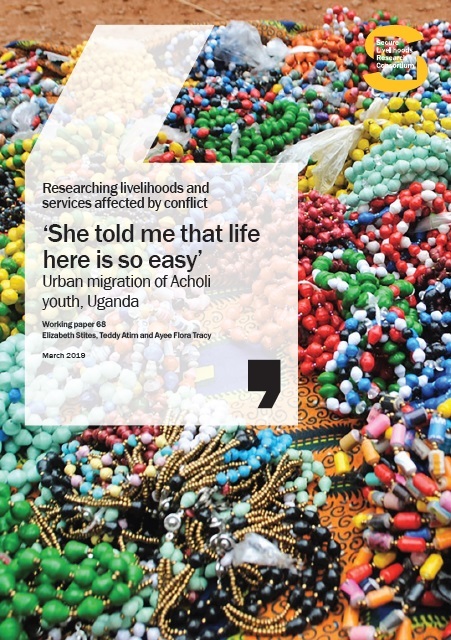 Research suggests that as much of 80% of youth living in the north are either unemployed or unemployable in the formal sector as a result of low-qualification levels. 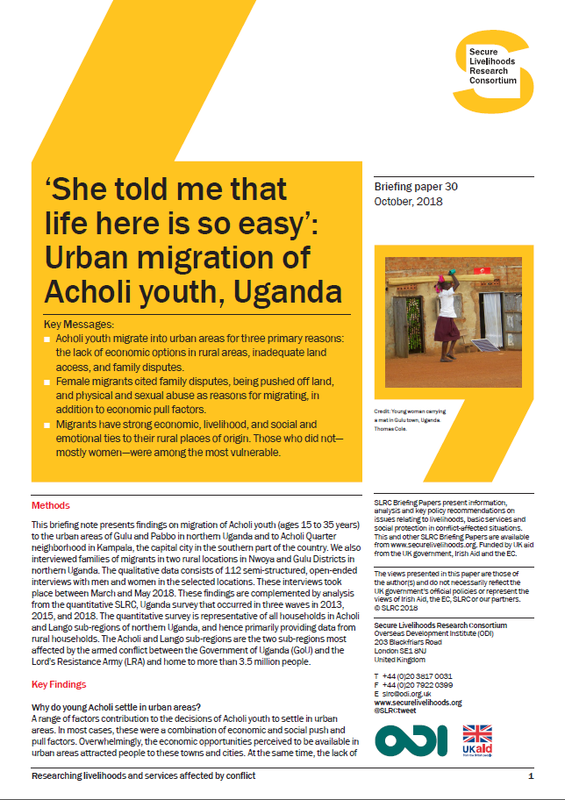 Drawing on work previously published by SLRC on the livelihoods of youth in northern Uganda, this briefing situates the challenges facing young people searching for work within the country’s slow and uneven post-war recovery process. 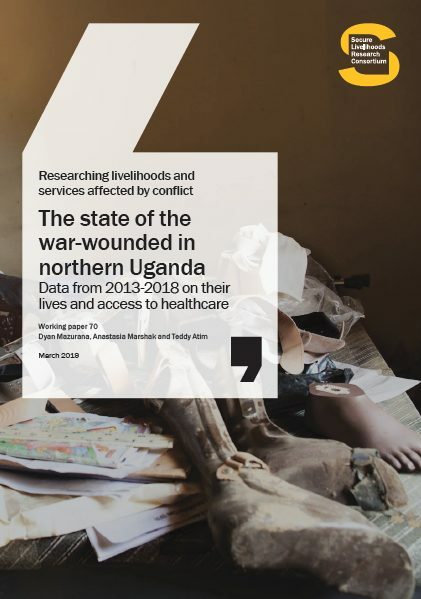 Economic difficulties in northern Uganda are grounded in ‘bad work’ – forms of labour that are precarious, underpaid and exploitative – and not in lack of labour supply and entrepreneurialism or exclusion from the market. 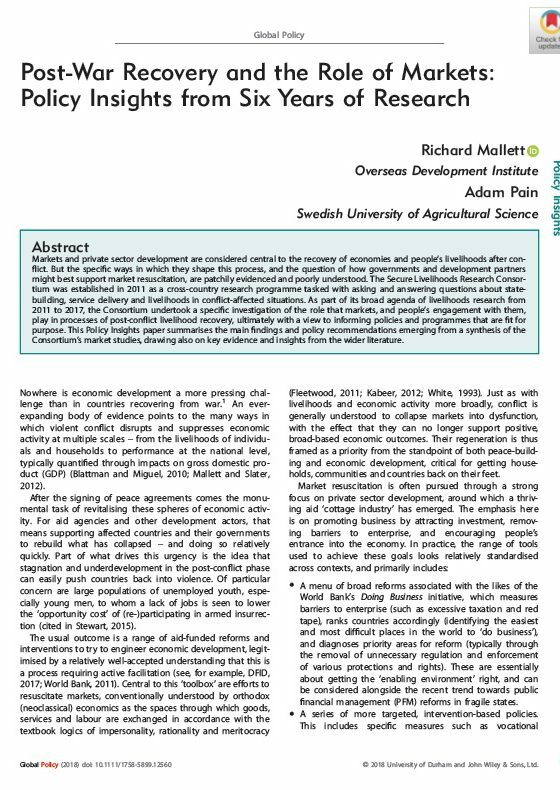 ‘Bad work’ and the labour markets that create it are pervasive in northern Uganda, and by their nature sustain high numbers of working poor. There is a need to test out alternative approaches to post-conflict livelihood recovery, such as public works programmes and collective action on labour rights and conditions.